I have recently installed CyberLink PowerDVD, but it does not work properly. Once I try to launch it, an error message pop-ups saying “CyberLink PowerDVD has crashed”. I removed the application, but, nevertheless, when I try to launch a media file, CyberLink PowerDVD starts lauding and crashes. Please advise how to uninstall CyberLink PowerDVD ASAP! How to Remove CyberLink PowerDVD16 on Windows? 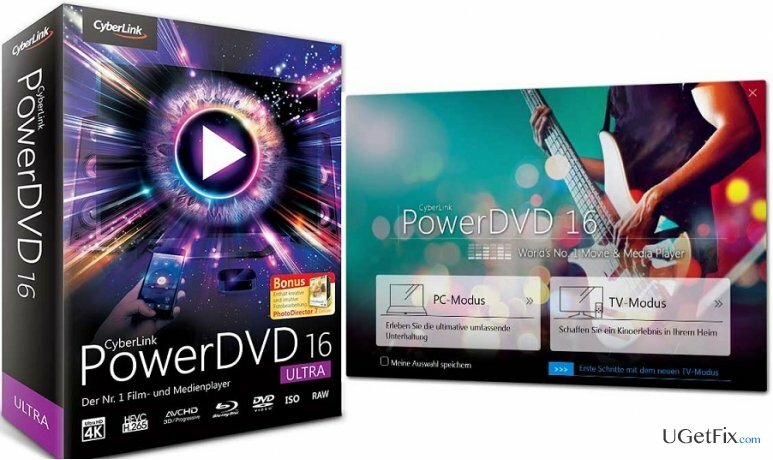 PowerDVD 16 is a movie and media player developed by CyberLink Corp. This tool is presented as a valuable tool for streaming high quality movies thus creating an atmosphere of a cinema at home. 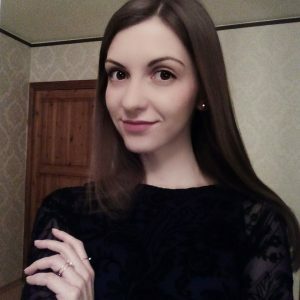 There are previous additions of this player, including Ultra, Standard, and pro. Each of them has a range of supporting files, but PowerDVD 16 is obviously the most advanced one. It’s multifunctional: supports 360 degree videos, allows media sending to a big screen via wi-fi, enhances the quality of a video, offers a cinema-quality video playback, slow motion actions, and so on. Therefore, it’s a tool that requires attention. BUT. If you would “google” for PowerDVD + removal, you would see how many troubles people had with all the versions of this application. We are not going to list all separate issues, but it seems that it crashes commonly, delivers errors, gets installed via software packaged, becomes removal resistant, and so on. Thus, if you have installed this tool and now can’t remove it, we will try to help you with PowerDVD 16 removal on Windows. The easiest way to uninstall PowerDVD on Windows, to say in advance, is to download Perfect Uninstaller, which will do everything automatically. If this method does not satisfy your needs, read the next paragraph. If you want to delete PowerDVD 2016 once and for all, make sure that you take your time and perform the removal correctly. Down below, we are going to list all the possible methods, so pick out the one that you prefer. Open this folder and find uninstall.exe in it. Double click on that file and let the process begin. You should get a confirmation window asking “Would you like to keep your personal settings for PowerDVD?” If you are going to reinstall the application in the future, select Yes. Otherwise, select No. After that, you should remove file leftovers via Windows Registry. For that, click on the Start button and enter regedit in the search bar. Once Registry Editor opens, go to HKEY_CURRENT_USER\Software\ and look for a folder named CyberLink or something similar. Remove it if you want to uninstall CyberLink PowerDVD completely. Click on Start (bottom left corner) and select Programs and Features under Programs. You should now see a long list of programs that are running on your PC. Find PowerDVD16 on the list, click it, and select Uninstall. After that, repeat steps 4,5,6, and 7 listed above to remove CyberLink PowerDVD on Windows once and for all. Install a software that would function as a powerful removal and system optimization tool. To uninstall PowerDVD16 our recommendation would be to use Reimage or Perfect Uninstaller. Kaip pašalinti CyberLink PowerDVD16 iš Windows?